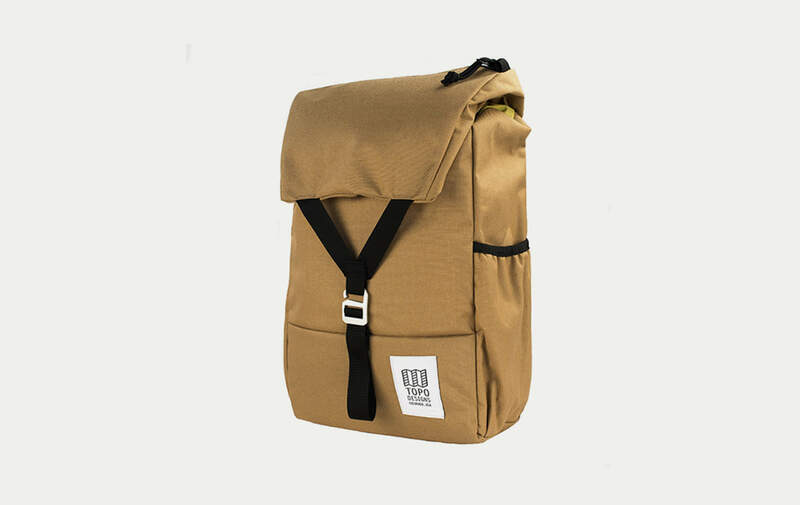 We love Topo for their modern, classic, and useful bags inspired by the outdoors. We especially love the Y-Pack because it's so simple; the one wide flap, single latch closure, and wide zippered hood make this pack roomy but well-balanced (for trekking or commuting alike). 1000D Cordura® fabric outer, coated pack cloth liner.